There’s not much the general public knows about North Korean leader Kim Jong Un, but one defining and quirky trait has caught the public’s attention: his surprising love of the NBA. 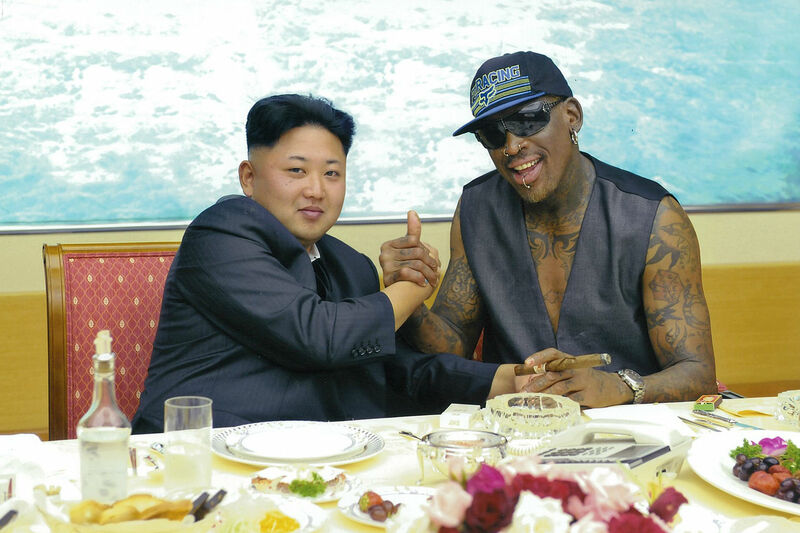 Here is the untold truth of Kim Jong Un’s basketball obsession. When Kim Jong Un first took over leadership of the country in 2011, very little was known about him and it was nearly impossible for anyone from the United States to be granted a meeting with him. That all changed when former Chicago Bulls basketball player Dennis Rodman heard that the leader wanted to meet him and requested a visit. Since then, Dennis has been Kim Jong Un’s guest six different times and has repeatedly called the leader one of his good friends. There have been numerous pictures taken of the two together and they seem to have a great time watching basketball, enjoying tours of the country, and just chatting it up.